Since NorEats launched, there’s been a set of questions people have asked, and until recently, the answer to “have you been to Figbar yet?” was a sad no. It had always been on the list, but a weekend with enough time to fully appreciate it hadn’t come around. When the time came, we grasped it – and a menu, and a hot chocolate – with both hands, and we were not disappointed. 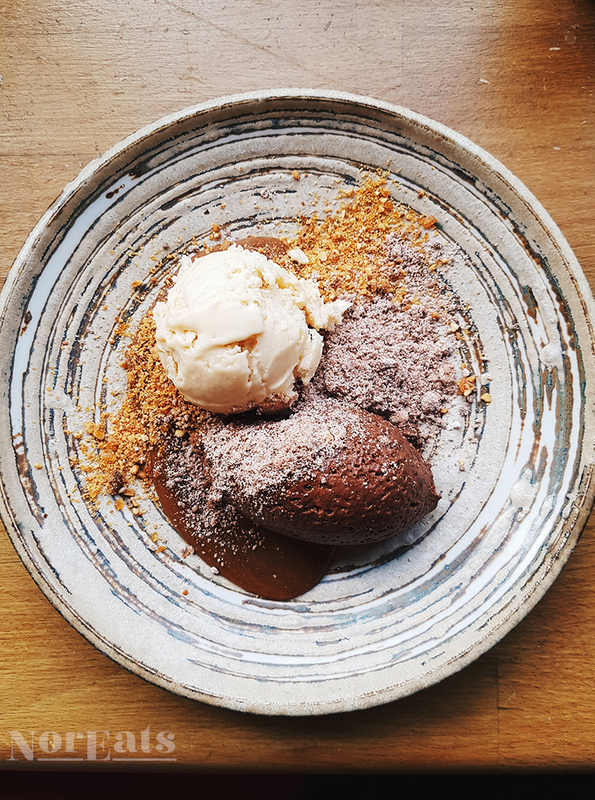 Everyone knows that when you go out for a meal you look at the dessert menu first to suss out how much room you’ll need (we all do that, right? ), so a place where the whole menu is dessert is the dream. Run by pastry chef Jamie Garbutt, Figbar offers a seasonal menu that goes beyond your standard desserts, to incorporate flavours like the exotic yuzu or a deeply savoury goats cheese mousse, offset by a sweeter cake. The dessert bar is undeniably cool, with wooden bars to perch at and crockery that, while beautiful, does have a texture that stops you being able to scrape up every last drop of pudding. 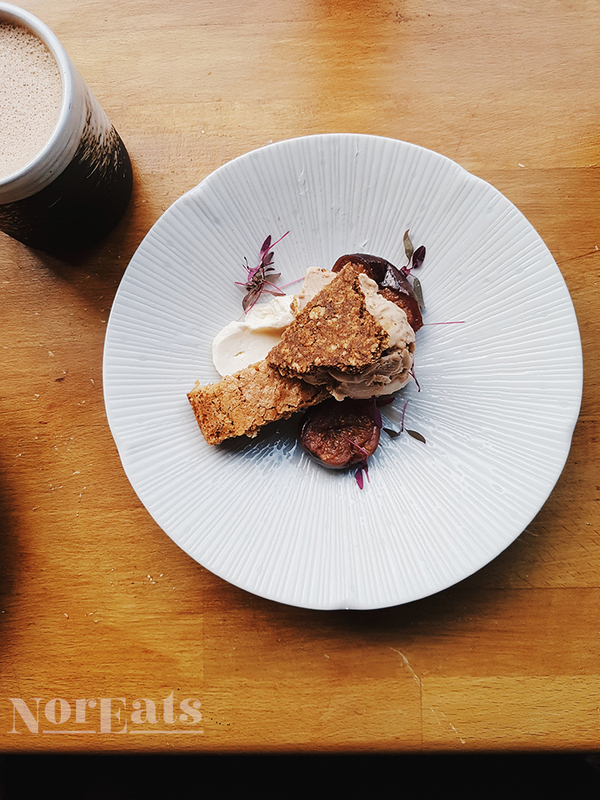 If you’re looking for a traditional or quaint cafe vibe and a slice of Victoria sponge, you’re better off heading to somewhere like Biddy’s; but if you’re in the mood for something a bit more decadent and experimental, Figbar’s the one for you.